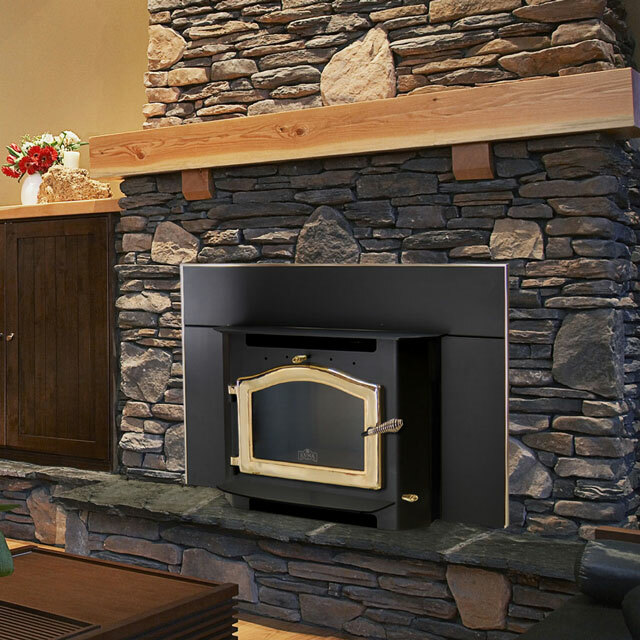 A Kuma wood fireplace insert will instantly provide efficiency, comfort, and warmth to your home. All our wood stove inserts offer state of the art technology and styling. If you need to heat a home of 1,600 – 3,500+ ft2, then look no further than Kuma Wood Stove Inserts. To top it all off all of our stove inserts are EPA certified and are among the most efficient in the business. Stay warm, reduce energy costs, and have peace of mind that you are as efficient as possible! All Kuma wood stove inserts are backed by our 100% Satisfaction Guarantee and are among the best stove inserts in the industry! 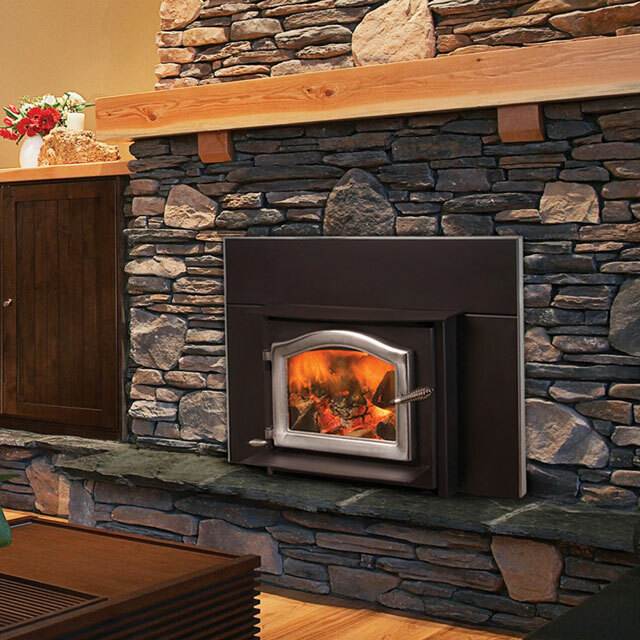 The Aspen Insert is the perfect choice for improving the efficiency of your small fireplace. At just over 18" tall, the Aspen will fit in most of the smallest fireplaces. 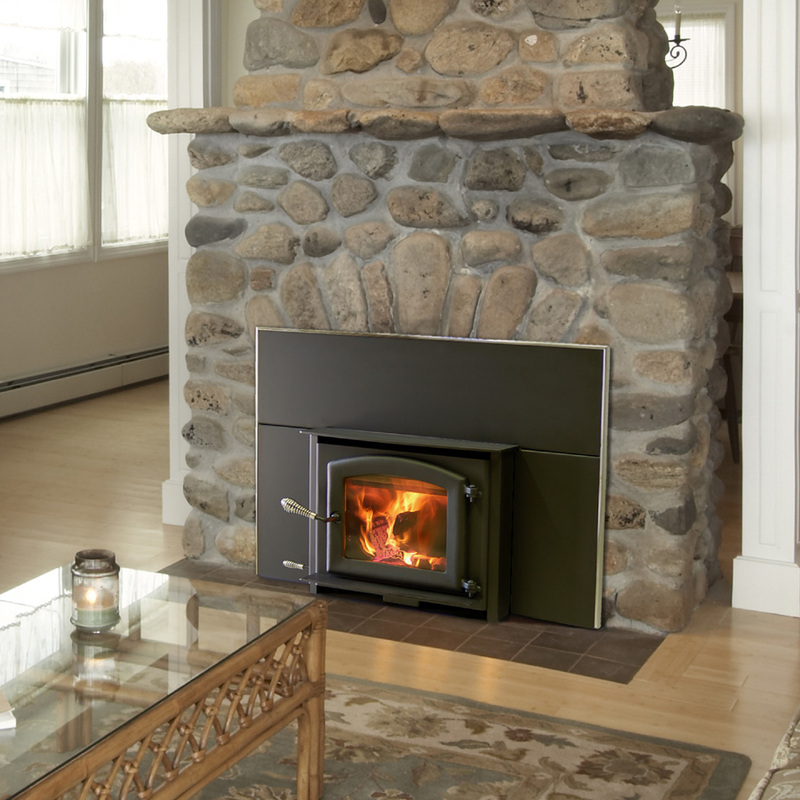 The Ashwood Insert can be installed in a masonry or factory built (zero-clearance) fireplace with the use of a 6" flue liner, and is capable of heating 2000 square feet or more. The Sequoia Insert boasts the highest tested efficiency of any fireplace insert in North America. With an EPA listed efficiency of 84%, the Sequoia insert will produce more heat for less wood. Have questions? Call us at 888-714-5294, we can help you choose the right Kuma Wood Insert.